Are you making this big fitness mistake? Blog by Rachel Grunwell: Marathoner. Yoga teacher. Good magazine’s wellness columnist. Blogger. 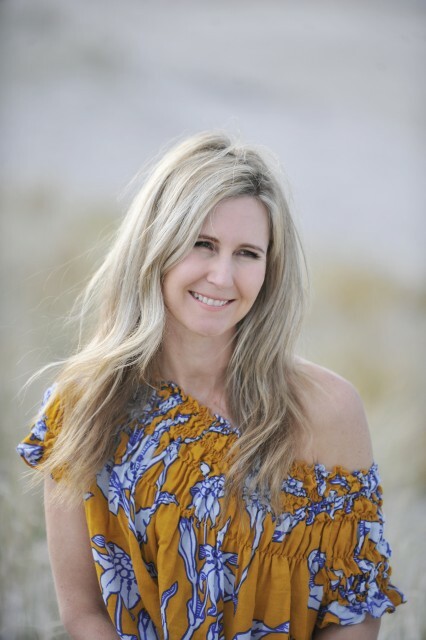 Follow Rachel via Inspired Health’s Facebook, Instagram & Twitter for inspo, recipes & giveaways. If you are passionate about being fit, and excelling at your sport, then don’t make the BIG mistake of ignoring all that post-workout recovery stuff. It’s important if you an elite athlete – or a “weekend-warrior” (and health-geek) like me. Rest, recovery, getting enough sleep, and tapping into all those awesome recovery options will help the body repair and strengthen. Recovery is as important as all those running miles, or all those tough hours you’ve committed to at the gym. Sadly, recovery is an area that many athletes and gym-goers often ignore. But they should be aware that overtraining can lead to injury. * Get enough sleep (adults generally need at least seven hours nightly). If you feel tired then listen to your body and rest. If you turn up to a workout when you are exhausted then you are at risk of injury. It’s just not worth it. * Wear compression gear. It supports your muscles and reduces movement (so there’s less soft tissue damage and soreness post your workout). I love the brand SKINS (which I am wearing in these blog pitures). I feel like Olivia Newton-John in the movie Grease trying to put them on (they’re supposed to be snug and tight by the way for the best support). But man, they feel like an amazing snug, second skin and I love wearing them when I run. I made the mistake of wearing a pair of yoga tights in a race once and spent the whole time hitching up my pants! So, it’s compression tights, or nothing now when I run. And the latter option isn’t pretty, so I’ll keep wearing compression tights, thanks… If you want to check out the SKINS range then click HERE. * Do yoga, Tai Chi, or just simply stretch your body gently and mindfully. This will help you to move well and perform better. It will also help you to walk less like a “cowboy poised ready for action” too. You know, when you walk funny because your muscles are so tight from a tough workout. 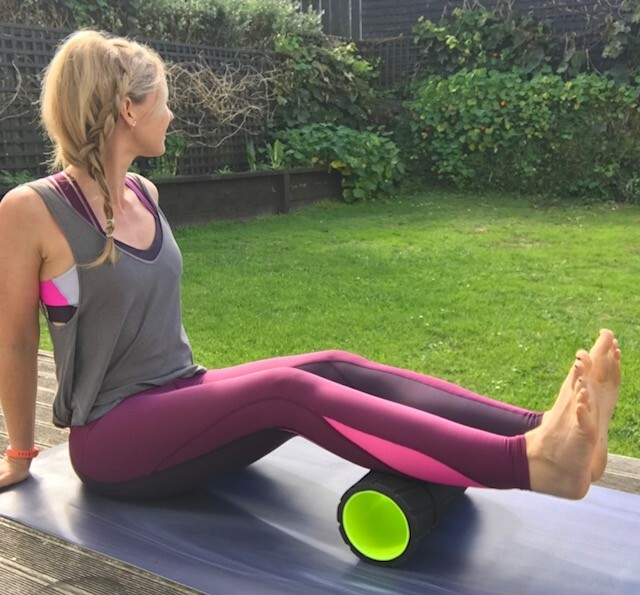 * Use a roller to iron your muscles out. This is a great self-massage tool. Even better, see a great masseuse weekly (if you can afford it). * Do something to chill out daily. It will help your body to unwind and de-stress – and you’ll be a nicer person! Just saying..
Here’s a legs-up-the-wall yoga pose that’s utter bliss for recovery! 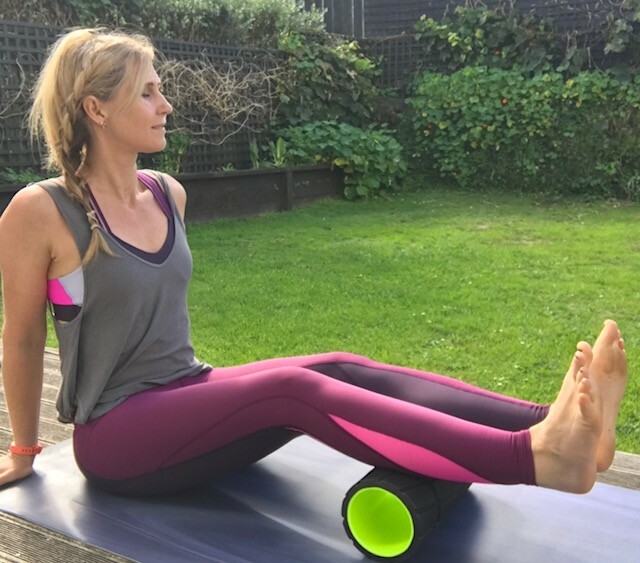 * If you feel stressed then do a five-minutes’ meditation (better still do meditation with your legs up the wall (my favourite yoga pose) and take in some slow deep belly breaths to calm down your nervous system. Count to four breaths as you inhale and feel the belly rise, and then count to six as you exhale slowly and feel the belly deflate. Keep repeating this for a few minutes and then I promise you will feel more Zen-like. Doing this at night before bed-time would be an awesome idea. ps: this post was sponsored by the awesome peeps at SKINS. I’ve worn their compression tights for a few marathons I’ve run. 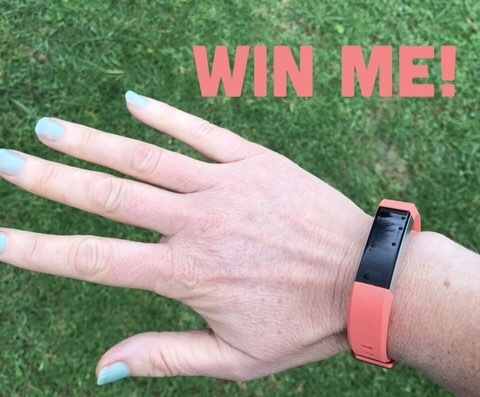 Go in the draw to win a Fitbit alta watch worth $229. Check out the comp via our Facebook or Instagram pages. Don’t you just love the watch colour? This super slim watch also has great sleep insights, counts steps, monitors your heart rate, has long-life battery power and is a great motivator with fitness goals! * Just turn up. Progression will happen through consistency. It’s like anything… do it more often and you’ll get better at it. * Enter an event. This can scare you into action! * Share you goal with friends. They can cheer you on and will hold you accountable. * Have a detailed plan on how you will achieve success ie write down where you will work out, when, how long, when you will have rest days etc… Motivation is great, but planning will give you a guide to follow. * Seek out expert support if you can afford it. Having a coach can help you to get optimum results, expand your knowledge base and they can advise you on how to train smart to avoid injury and burn-out etc. * Think about smaller goals on the journey and celebrate each milestone. 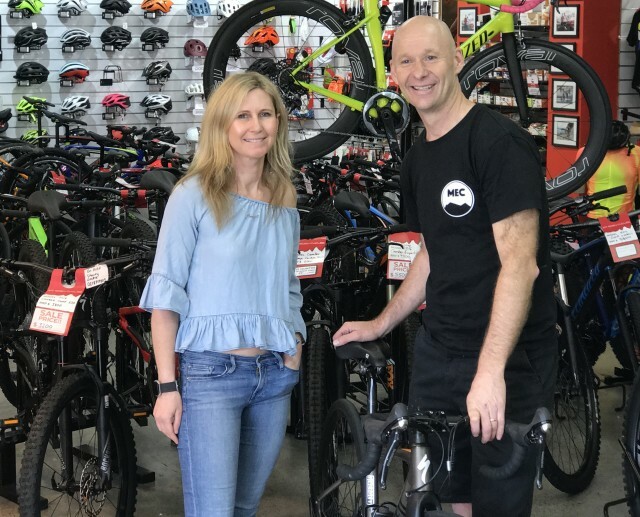 Article supplied by Rachel Grunwell – wellness magazine columnist, yoga teacher, marathoner and director of lifestyle website inspiredhealth.co.nz. Follow InspiredHealth on Facebook & Instagram. 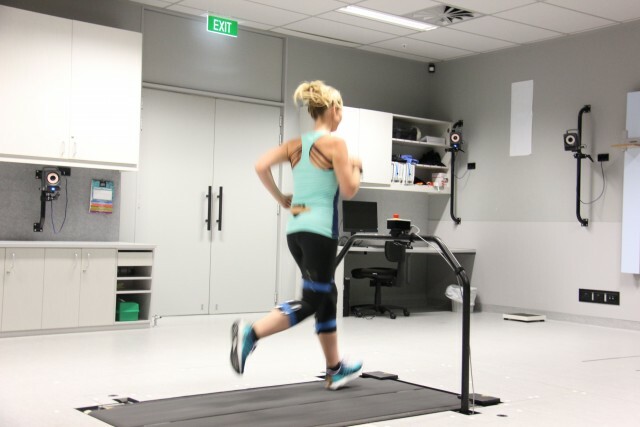 Pictured: Rachel getting some run tests done at the AUT Millennium in Auckland.